The film of Come Dine With Dee project will be aired on STV North so that viewers can vote for this year’s winners. A local community group in Dundee is calling for your vote to secure £43385 of National Lottery funding as part of this year’s People’s Projects. 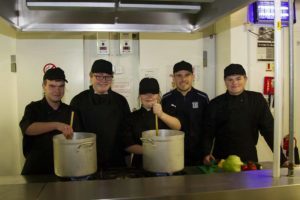 Come Dine With Dee, which is based in Dundee works with families living in the Coldside community through a healthy lifestyle and diet programme. The families will be led through an exercise and education programme over a 6 week period and also enjoy a group meal at every meeting. DFC in the Community Trust is one of five groups in STV North region in the running for a share of a life changing pot of £3 million up for grabs across the UK. Since 2005, the partnership between The National Lottery Community Fund, The National Lottery and STV has given the public a say in how funding should be put to good use in their local area. Designed to celebrate some of the incredible projects the National Lottery has supported over the past year, 95 community-based schemes are now shortlisted across the UK. In each region, the three that receive the most public votes will each receive a grant of up to £50,000 to help them continue their work to improve local people’s lives and help their communities to thrive. 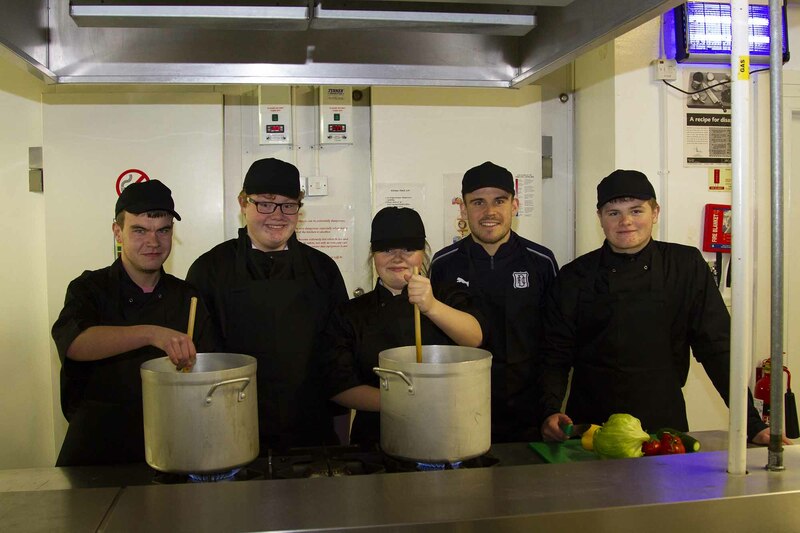 On April 3rd 2019, DFC in the Community Trust will showcase its project, Come Dine With Dee on STV North Region at 6pm telling local viewers exactly why they deserve to win. To be in with a chance of claiming the top prize, DFC in the Community Trust is asking people to support its bid by visiting the People’s Projects website to vote. Voting opens at 9am on Monday 1 April at www.thepeoplesprojects.org.uk. If successful, DFC in the Community Trust will use the grant to deliver a healthy lifestyle programme with local families living in the Coldside Community of Dundee. The project includes 4 local primary schools and families from within for a 6 week programme where families will eat, learn, train and play together to improve quality of life. Lewis Melee, Community Trust Manager at DFC in the Community Trust said: “This is an exciting opportunity to raise awareness and support for our work and, with your help, to secure further much-needed funding. We urge local people to get behind us in support of what can be our biggest project ever. If successful, this will help us to make an even bigger difference to our local community with over 50 sessions with local families to improve lifestyle, diet and opportunity. The People’s Projects has awarded around £42 million to 960 good causes across the UK since it started in 2005. DFC in the Community Trust is a registered Charity (SC -047946) based at Dens Park Stadium, Dundee. Please seek permission from Community Trust Staff ahead of text or image use. Each week, The National Lottery generates, on average, £30 million for National Lottery-funded projects – in total £39 billion has now been raised and more than 535,000 individual grants have been made across the UK an average of over 190 lottery grants in every UK postcode district, the biggest programme of civic and social regeneration since the 19th Century. The National Lottery has so far given away over £69 billion in prizes and created more than 5,100 millionaires or multi-millionaires since its launch in 1994. The People’s Projects is a partnership between The National Lottery, The National Lottery Community Fund, ITV and STV which gives the public the chance to have a say in how National Lottery funding is spent in their community. The People’s Projects funds projects that improve the lives of people and communities across the UK. This year 57 awards of up to £50,000 are up for grabs across the UK – three awards in each ITV region. Challenge yourself and support our charity by selecting DFC in the Community Trust as your chosen charity. The money you raise would be used to bring benefit to everyone who uses the services provided by the Trust from those involved in our schools program through to our football memories group. DFC in the Community Trust are proud to pair with Dundee Football Club, the SPFL Trust, Riverside CSC and Alzheimer’s Scotland to deliver a range of projects across Tayside, Fife and Angus.